We purchased a few different kinds of German beers, and covered the labels, so we could do a taste-testing game. (The mini steins are perfect for this.) 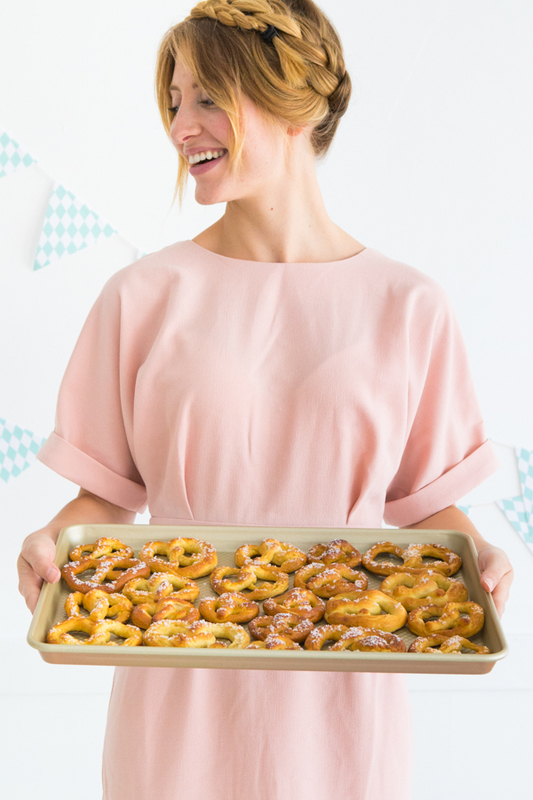 For the mini soft pretzels, we used this recipe. 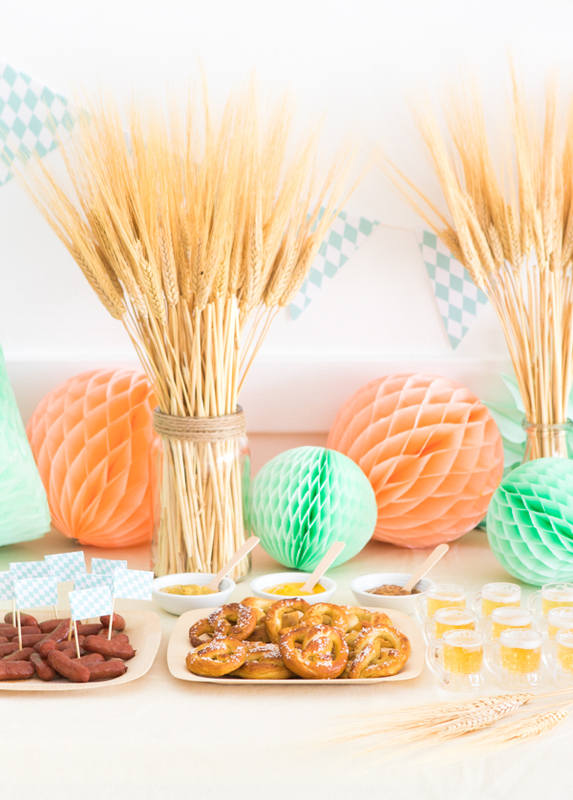 Are you hosting an Oktoberfest party this year? Prost! Step 1: Print the bunting flags and cut out each shape. Step 2: Measure a piece of twine 9-½’ long and cut. Step 3: Fold over the tab on each flag and hot glue together around the twine. Separate each flag 1-½” apart. You’re ready to hang your garland! So cute! 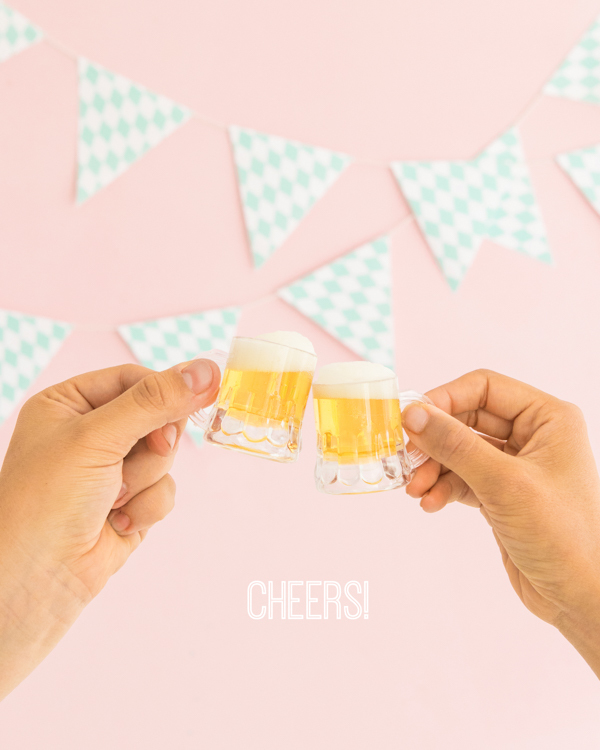 Love the printables and mini beer glasses. 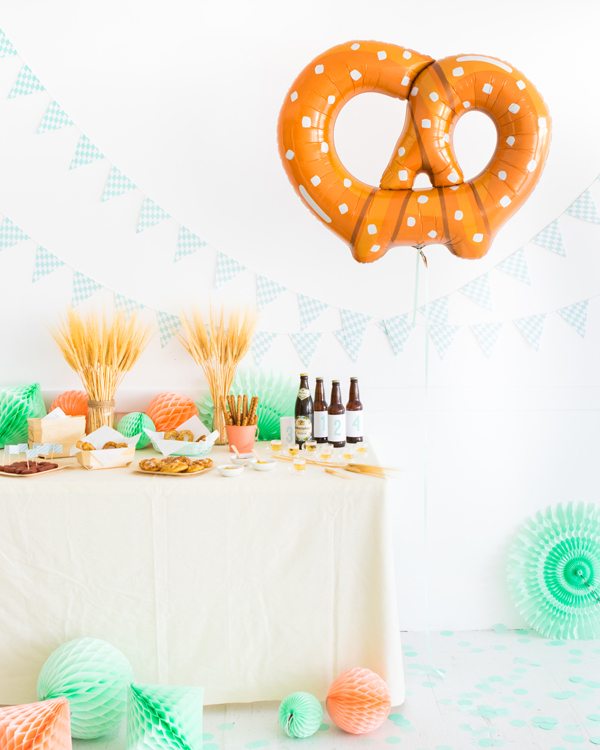 I love that pretzel balloon! 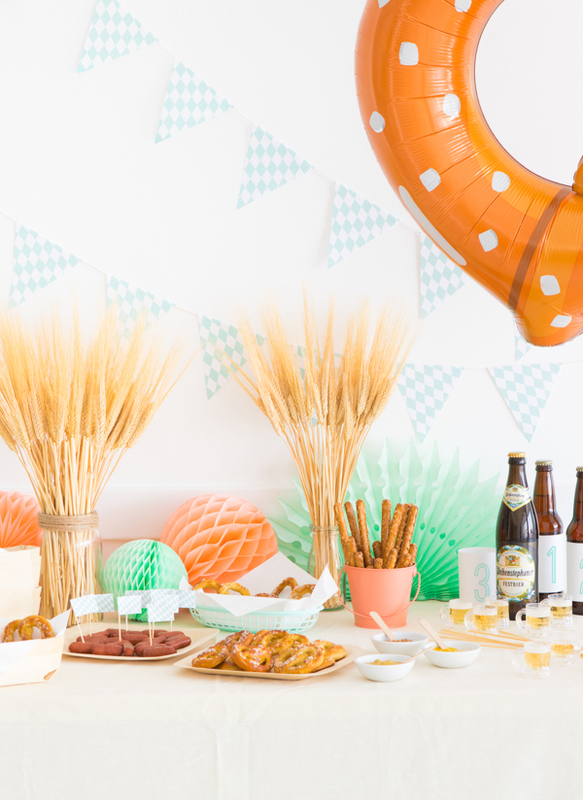 I threw an Oktoberfest party last year and your pretzel balloons were the highlight. Totally tempted now to throw another especially with mini steins! Prost! Oh my goodness, I love this idea!! 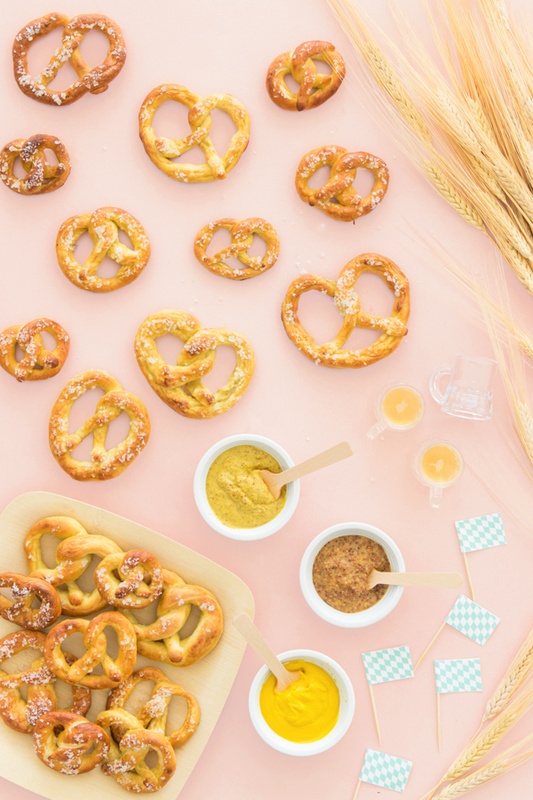 How have my partner and I never thought of throwing an Oktoberfest Party? 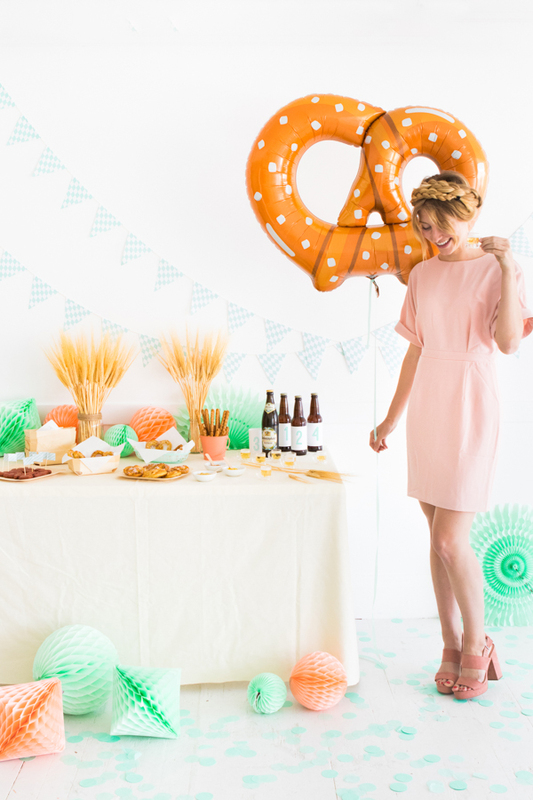 The giant pretzel balloon and your hair are so adorable. Looks like so much fun! I love the idea of the blind beer tasting! So fun!! My husband and I are both big beer lovers, so this would be so fun to do for all of our fellow beer loving friends. Maybe add in some sausage and pickled treats for tasting.